Now that spring has settled in, we can expect the unexpected when it comes to the weather. Extreme weather conditions over the years have caused extensive damage to property, forcing us to take precautionary measures more often than usual. As we approach the hail season, we can’t ignore the lurking damage that comes with it. Avoiding a hailstorm may not always be possible, however there are measures one can take to minimise the damage to property. Maintain the trees in your yard: even though trees and other large plants make your home look beautiful, they may be a danger to your safety when the hail storm hits. Ensure that trees are cut or neatly trimmed and are away from the house to prevent them from falling on the roof or smashing through the windows. Check heavy furniture likely to fall over: in the event of a hail storm, the only safely stagnant thing is the foundation of your home. It is essential to make sure that all the heavy and loose furniture is safely stored away or secured on a levelled surface to avoid them from falling over and causing further damage when the storm hits. This is essential in cases where hailstones or debris lands up in your home through smashed windows or other openings. Check your roofing: ensure that your roof is stable and strong enough to withstand hailstones. You can do this by checking for rust or holes that could lead to further damage when the hail hits. Ensure that all existing potential leaks are covered up and that your gutters are cleared up to avoid clogging – you don’t want the melting hailstones to leak into your home. Fix up your windows and doors: check that the windows have no chips or cracks waiting to spread and that your doors are also secure enough to not give way to weather damage. Having impact resistant windows and doors would be the best barrier against hail. 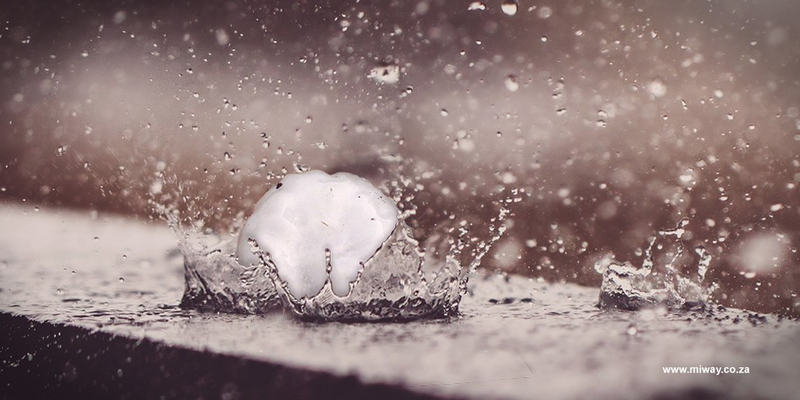 Yes, it may sound expensive, however ‘prevention is better than cure’ – rather spend on protecting your home and avoid being a victim of hail stone invasions. Stay tuned to radio/ TV updates: staying updated on the weather can come in handy in preparing for potential emergency situations. Weather updates can help prepare you and your family for great hailstorms and prevent extensive damage to your home. Should you find yourself in an unforeseen incident that leaves your home victim to hailstones you can lodge your claim either online or via the MiWay App. Remember to check your home insurance cover from time to time to ensure that your home is adequately covered.